Where can I find the page numbers for a case? On a case page, you'll find page numbers on the left margin, and in the navigation bar (in bold). 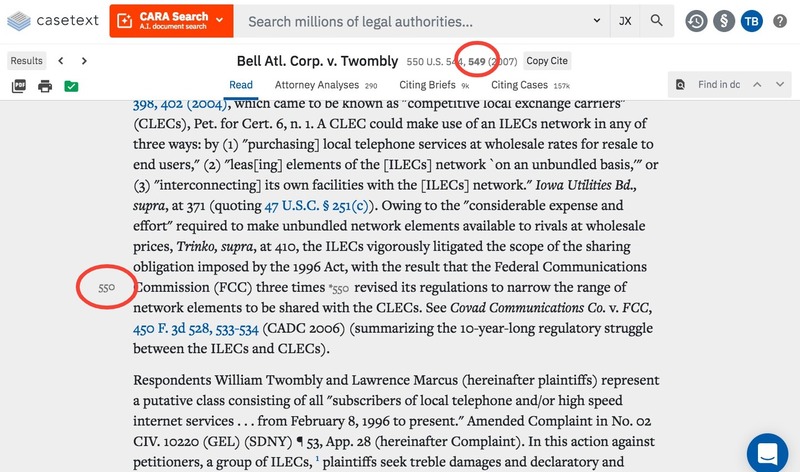 The page number in navigation bar will change as you scroll up or down on the case page. 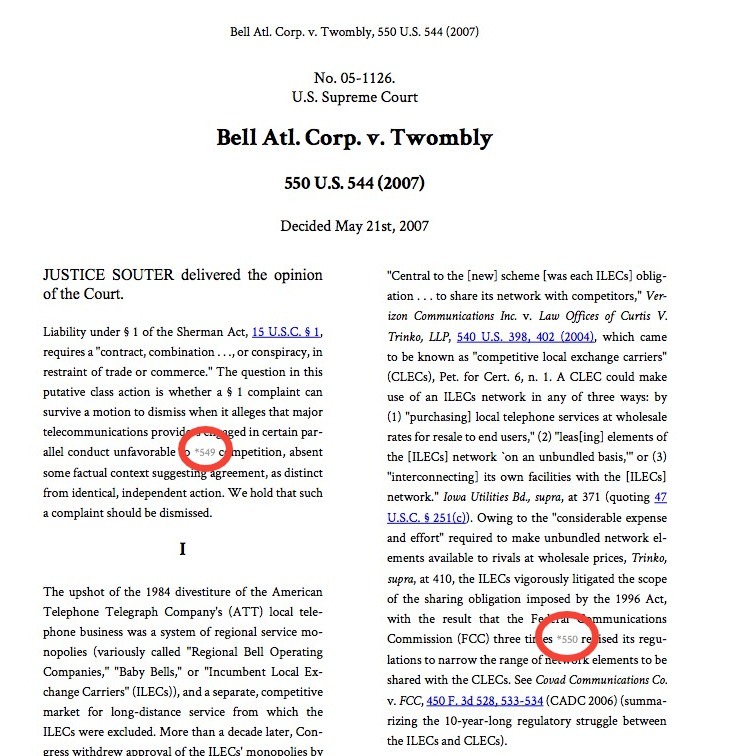 In the PDF / printed version of the case, you'll find the page numbers within the text of the opinion.